While evidence is gathered, and the land of Delain mourns, Flagg the King's magician, unscrupulous, greedy and powerful, plots. Soon the King's elder son, Peter, is imprisoned in the needle, the top of a high tower, for his father's murder. And Thomas inherits the throne.Only Peter knows the truth of his innocence, and the true evil that is Flagg. Only Peter can save Delain from the horror the magician has in store. He has a plan, but it is rife with danger. 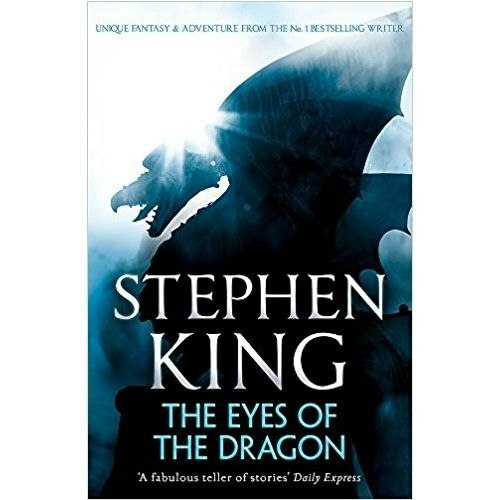 And if he fails, he won't get a second chance .
. .A captivating tale of heroic adventure, of dragons and princes, of mysterious mice and men from the pen of the master storyteller.There is a reason why Stephen King is one of the bestselling writers in the world, ever. Described in the Daily Express as 'a fabulous teller of stories', Stephen King writes books that draw you in and are impossible to put down.The King is dead, murdered by an unusual poison.